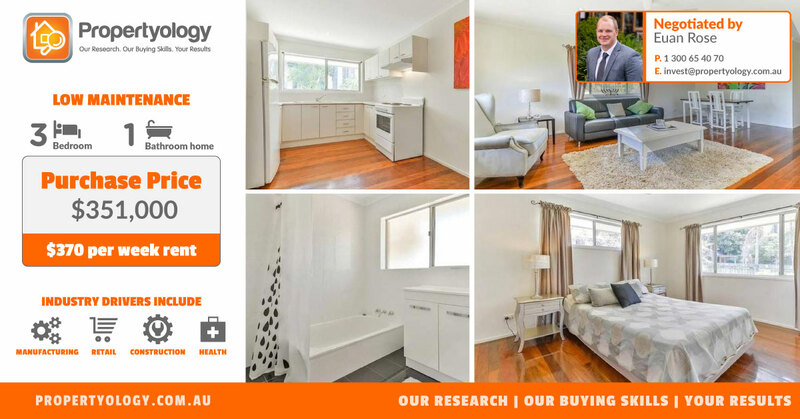 Propertyology’s Buyers Agent Euan Rose recently secured this well presented, easy care house for a very affordable $351,000 for first time Propertyology client, Wade. Working in a high stress, time consuming upper management role, Wade was comforted by the fact that, the team at Propertyology held his hand through the whole process by organising all important matters on his behalf. “I wanted to reach out to thank you all for your assistance in the recent purchase. After being recommended to you I have appreciated your level of professionalism, confidence in your product and once signed on your communication has been to a great level. I am certain to recommend you to others and look forward to engaging with you in the near future as I look to expand my portfolio” – Wade (Queensland based investor).